POPPY’S WHEELS FUNDRAISING COMEDY GALA WITH PJ GALLAGHER AND DAVID O’DOHERTY AT WHELAN’S ON THURSDAY, 21st FEBRUARY 2019! Enjoy a brilliant night of the very best of Irish stand up comedy and do your good turn for the week into the bargain! A comedy gala in Whelan’s starring some of the very best known names in Irish stand up all volunteering their talent for a great cause! This huge show will be headlined by PJ Gallagher and David O’Doherty and they’ll be joined by a host of Irish stand up stars on the night still to be announced! It’s a guaranteed hilarious Thursday night out with the cream of Irish comedians and all for a great cause! 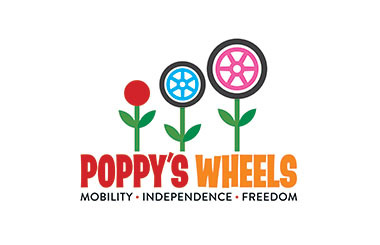 Poppy’s Wheels is a volunteer run benefit fund originally established in 2014 to help pay for the transport and equipment needs of Poppy Shankey, a 10 year old girl from Walkinstown with cerebral palsy and complex care needs. In 2015 the fund succeeded in raising money for an all-terrain wheelchair (called a ‘Hippocamp’ , the French for Seahorse) for Poppy, which was specially imported from France and allows her to go the beach and the forest with her whole family – something that was never possible with her everyday wheelchair. In 2016 we hosted a comedy night at Vicar St that raised enough money to bring another two Hippocamps in to Ireland to help other families of disabled children to experience days out to the beach and the great outdoors together – simple pleasures enjoyed by so many families but that are not possible for most with a wheelchair using child. We are currently piloting this scheme and will use the funds raised at the Comedy Gala to bring additional all-terrain wheelchairs into Ireland and to make them available to families and disability groups across Ireland. We are administering this scheme on a not-for-profit basis through our friends at the special needs shop and suppliers Adam and Friends – who are the suppliers of the Hippocamps here in Dublin. Some of the funds raised on the night will also go to the Parents Association of Poppy’s special needs school, Scoil Mochua in Clondalkin and it’s sister school in Clontarf to help pay towards the cost of summer camps for the kids at both schools.